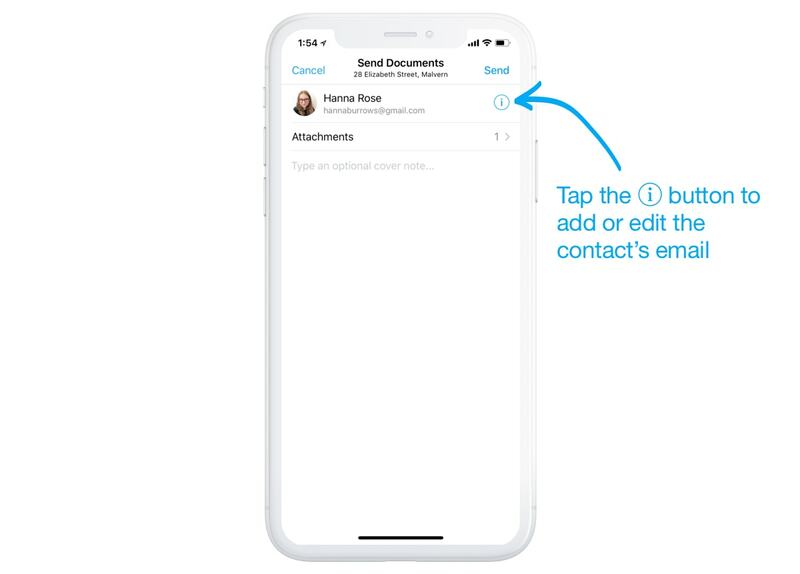 How do I send documents to contacts? 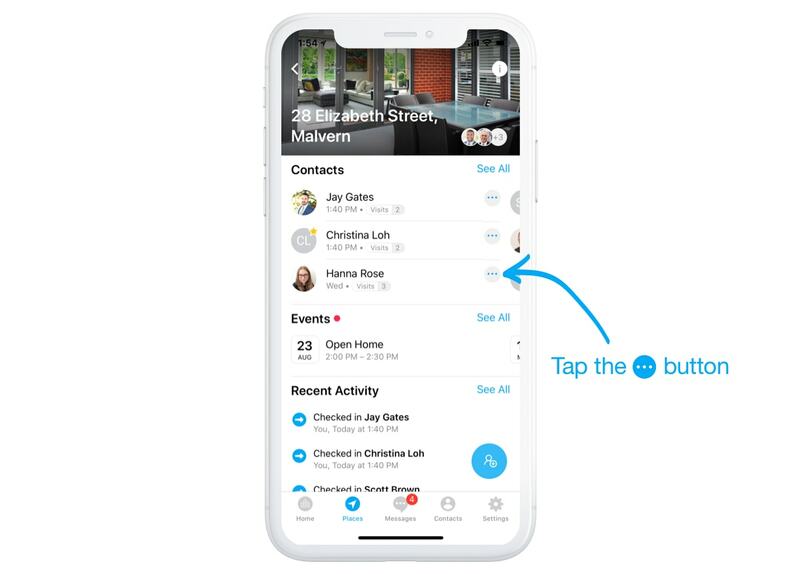 You can send documents to contacts you've checked in. 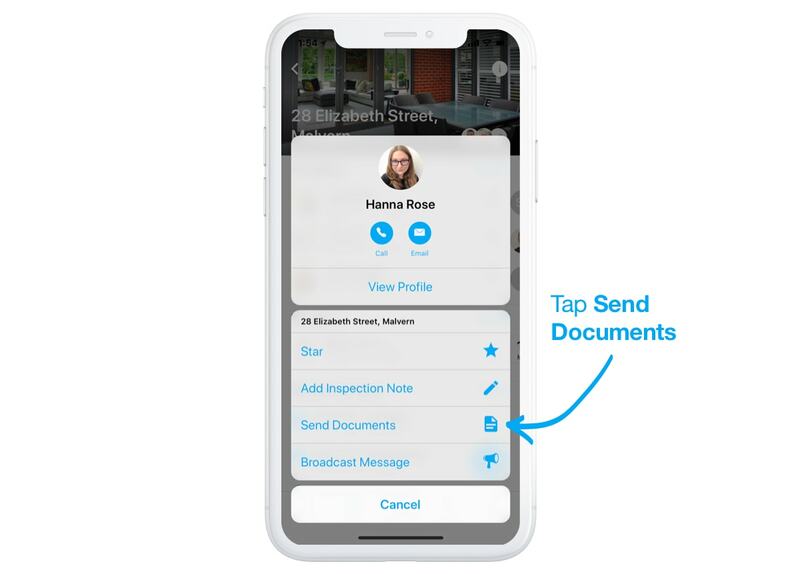 Simply tap the more button, then select Send Documents. 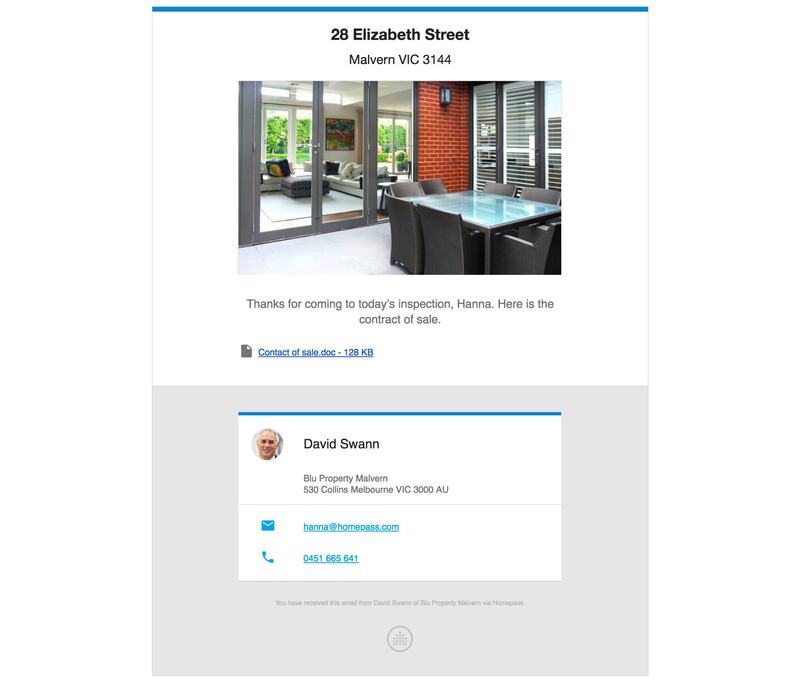 Here, you can preview your contact's email address – or tap the info button to add/edit it. Any documents you've uploaded already will be automatically selected as attachments. Type an optional cover note, and then tap Send. Your customer will receive an email with links to download the documents. If they haven't received it, ask them to double check their spam folder.